Makes the perfect gift for an upcoming Bride! With Hotels and caterers doubling their prices as soon as they hear the word 'Wedding' the average price of a wedding is now £25000! Lots of magazines and websites tell you that doing it yourself cuts costs and also makes it a lot more personal. Actually doing it by yourself can be the tricky part. These workshops will show you how to create what you want for your wedding and on your budget. 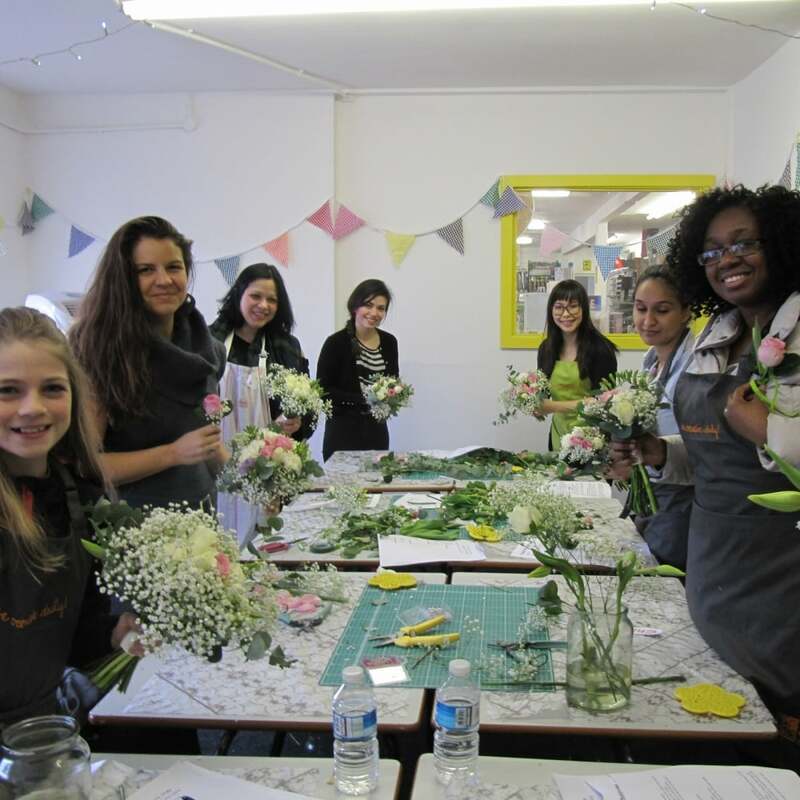 Flowers can transform a wedding and we are proud to tell you that this class can help you achieve gorgeous results that go into a perfect day. With Bridal flowers the first question normally is ‘where do I start?’ What flowers can I use? You will learn how to create an elegant bouquet and button holes. As well as understanding the essential basics of bridal flowers, including their conditioning, careful selection, the seasons and the process of costing to a budget. Here we will talk you through crafty ideas to make your wedding extra special. You will make paper pom poms, paper roses to decorate your tables or invites and bring in some heels and we will show you how to bling them up! You can always pay a designer (a lot) to create your wedding invitations, but will they be exactly how you imagined? If you’re not sure, then it makes perfect sense to create your own invitations. A wedding invitation is the first glimpse of the theme and feel of your wedding and no one can introduce it better than you. You will be shown lots of examples of wedding invites. make a few of the ones you like and go home with some f the materials to help you get started. Please feel free to bring in invites that you like and if we can't make them we can show you how o achieve the same look. An essential prop for any wedding but prices to make them are sky high. We will help you create a masterpiece that you can reuse for birthdays and celebrations for years to come. *Each session lasts 2.5hrs and for a more personal approach email us your colour scheme and we can provide samples in your chosen colours. If you need to cancel this workshop please contact us as soon as possible. As the flowers are preordered we cannot refund your account with less than a weeks notice you may however be put on a reserve list for the next workshop.